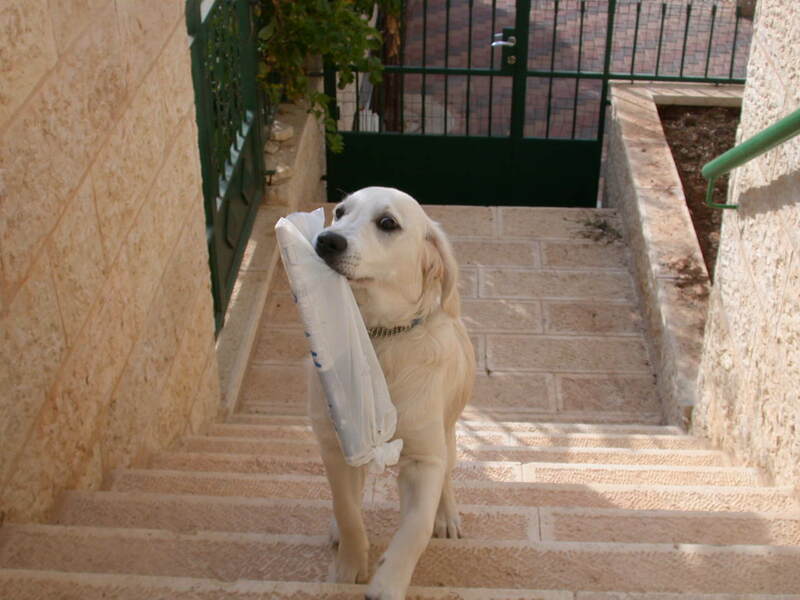 Jana gets the paper every morning. She has had this job pretty much her entire life. She’s good at it. Really good. She is also very serious about it. She has carried papers up stairs and the length of country driveways that you can’t even see the end of. For several months a few years ago, we actually had to walk out to the end of the road for the paper, maybe a quarter-mile. She carried the paper all the way home, no matter what essential business might need to take place on the way. Now, living in Petaluma, she listens for the delivery person. We have a great delivery person at the moment. He or she comes at 4:30 every morning. Rain, shine, weekend. Doesn’t matter. Drives into our parking lot and tosses the paper in the general vicinity of my gate. How do I know this? Well, if I am not awake, Jana hears the paper arrive and lets me know that it is time to get the paper. She’s very polite about it, but quite insistent. She does have a snooze button, and I do use it. But still. Most mornings I am at least briefly awake at 4:30. The paper subscription expired recently, and I actually considered letting it lapse. Then I felt guilty. I would deny Jana her greatest pleasure? Fire her from a job she has performed dutifully for more than 13 years? For no good reason?? So. This morning, a Sunday, we both heard the car and the thud of a paper. A while later, after a couple presses on Jana’s snooze button, Cali woke me up. Cali does not have a snooze button. She wakes me up by jumping onto the bed and shoving her nose in my face. GOOD MORNING she breathes into my face, wagging her tail furiously. So, Cali got me out of bed, and Jana was eager to get the paper. Out we went. No paper. Jana looked under the car and along the sidewalk and by the neighbors’ gates. No paper. She got very interested in the small bush by the gate and was quite sure the paper was in there. I looked under the bush. No paper. She kept looking at the bush and sniffing at it. I poked around some more. No paper. I convinced her to go inside. Then, since she had been so sure there was a paper, I took the big flashlight and went back out for another look. No paper under Jana’s bush But: The paper was, indeed, under a bush. Not the one Jana had fixated on, but one very close by. I pulled it out, and called for Jana. She was very excited about this development and practically danced outside. She grabbed the paper, the big, heavy Sunday paper, and held it up triumphantly. She carried it inside and traded it for a cookie. She wagged hard, still smiling. She knew there was a paper, and she knew it had gone into a bush. You should always trust your dog, even if she’s sniffing at the wrong bush.